African Americans consume more media than any other group, and, finally, there’s enough content being produced to match the demand. Founded in 1980 by Robert L. Johnson, BET was the sole player in the black TV space for more than two decades. It remains the most widely recognized brand despite significant challenges from OWN, which, according to Nielsen, surpassed BET in total viewers for 2018. Although BET is the most-established black TV network, it’s faced criticism that others have done a better job programming to its core demo. Orlando said a challenge for BET is bringing back once-loyal viewers who abandoned it for upstart competitors like OWN and streamers like Netflix. Toward that end, Orlando said BET has increased its original primetime programming slate by 21 percent for fiscal year 2019 and is working across parent company Viacom properties to broaden its reach, such as a recent partnership with Paramount Television to create a serial adaptation of the 1992 dramedy “Boomerang.” It’s also developed fan-favorite IP to create new content: Its 2016 acquisition of the “Soul Train” franchise produced the limited series “American Soul,” which premiered in February. Other initiatives include partnering with Paramount Players for PROJECT CRE8, a search for aspiring screenwriters, as well as a script-to-screen contest with the American Black Film Festival and Issa Rae’s Color Creative. TV One targets African-American adults with a broad mix of original unscripted series, documentaries, original movies, and sitcom reruns. It’s also home to the annual broadcast of the NAACP Image Awards. In the face of growing competition for black audiences, the network underwent a comprehensive creative overhaul in 2016. (Its new tagline: “Represent.”) This rebranding came a year after Urban One acquired Comcast’s stake in the network, making it the only major black TV network wholly owned by black people. In January, TVOne also launched CLEO TV, a lifestyle and entertainment network targeting millennial and Gen X women of color. Programming announced thus far has been unscripted lifestyle series on cooking, home design, and relationships, as well as docu-series and broadcasts of old movies. OWN president Tina Perry is also pleased with what she called a rising tide. However, she’s cautious about whether this new interest in black audiences will be sustained. “The industry as a whole, in the past roughly 15 years, has seen so much progress when it comes to diversity and inclusion, but a lot more work has to be done in order to get it to a place where it becomes permanent, and we can’t wait to get there,” she said. Some of that work includes ensuring that more black creatives have the opportunity to develop original content, especially at the highest levels. In the last two years, powerhouse black creatives like Shonda Rhimes, Kenya Barris, and Ava DuVernay, as well as top black executives like Tendo Nagenda and Channing Dungey, have inked lucrative deals with the likes of Netflix, Warner Bros., and Lionsgate. BET also claims prominent relationships with black creatives like Tyler Perry, following the mega-deal he signed with parent company Viacom in 2017. There’s also Lena Waithe (“Boomerang”), and film producer Will Packer, who is currently developing a comedy series for BET. There’s also an appetite to create outlets that target the black audience beyond the majors. Lesser-known players include Bounce TV, which launched in 2011 as the nation’s first-ever broadcast television network designed exclusively for African-American audiences. Broadcasting company E. W. Scripps acquired Bounce in October 2017. Currently, it’s the only black network with a companion SVOD service, Brown Sugar. Targeting the 25-54 African American demo, Bounce made an early commitment to original scripted series. “Family Time,” a half-hour comedy created by Bentley Kyle Evans (“The Jamie Foxx Show”), ran from 2012-2018. 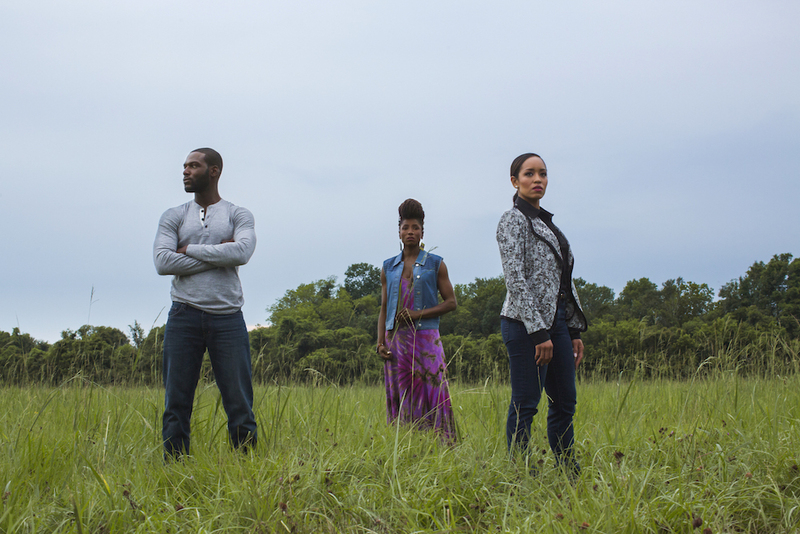 Its hour-long drama series set in a Southern Baptist community, “Saints & Sinners,” launched in 2016 and remains the network’s most-watched program to date. Other networks include Magic Johnson’s aspireTV (reruns of black sitcoms and movies), which launched in 2012; Sean Combs’ music-centered Revolt, which launched in 2013; and AFRO, part of the Afrotainment family of channels, a “polycultural black network” that features acquired and original content representing the global black experience. A marketplace saturated with networks that target black audiences might seem like progress. But without competitive programming to attract that in-demand audience in all its diversity, success isn’t assured. And with the battle for eyeballs likely to become even more intense, a question to be answered is whether there is room for a black TV network to become dominant. TV One’s Rice believes that will happen.